A Sydney man has intentionally misled his Facebook friends by trying to suggest that he made money at the Queen Elizabeth Stakes at Randwick today. 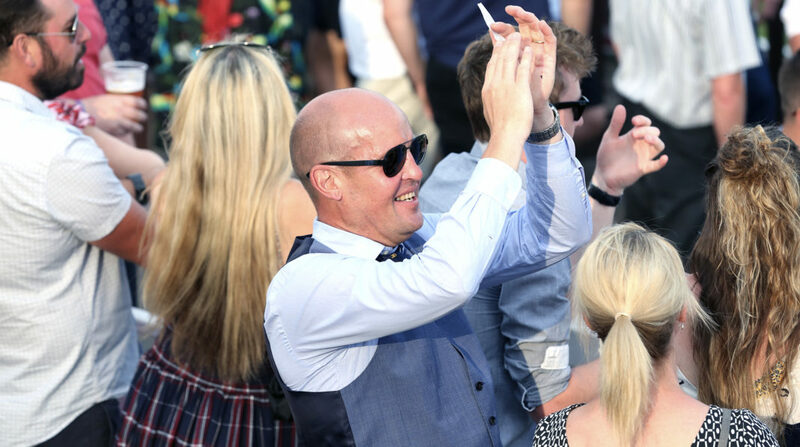 Nigel Dolton posted a photo of himself celebrating in a waistcoat shortly after winning $600 on Winx, in what’s expected to be the mare’s final race. “Winner winner, chicken dinner! Go Winx you good thing. Easiest $600 I’ve ever made,” he wrote in a caption alongside the photo. But an investigation by Double Bay Today has found the 46 year old investment banker actually lost $9300 for the day. “I’m in the money, I’m in the money,” he was heard singing a short time ago.